Argentina has an abundance of land suitable for production of peanuts, with a high soil fertility that generally requires no fertilizers to produce large and good crops. 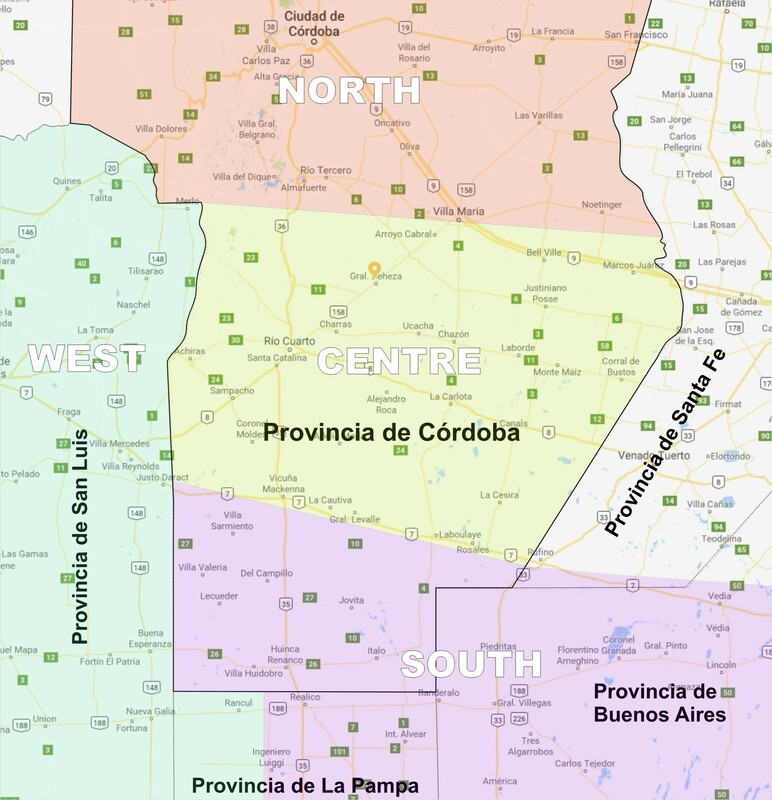 Most of the peanut planting and production however, is concentrated in the areas: Province of Cordoba and General Deheza, jointly forming the Argentine peanut belt. Besides peanuts, most of the Argentine farmers also have the possibility to grow Corn and Soybeans. Argentina usually plants its peanut crop around October. An average crop takes about 8 months to fully complete its cycle until it's harvested generally around May / June the next year. Over the last 15 years, Argentine growers have planted on average approx 430.000 acres annually. The vast majority of the crop produces the Runner Type peanut with a remainder of Valencia and Spanish type peanuts. Today in Argentina there is an increasing use of modern combines during harvesting. As opposed to older equipment these combines are capable of harvesting peanuts that are still in moist condition. This significantly decreases the risk of aflatoxin and mould development during the harvest period when peanuts are already lifted and are still drying on the fields. The Runner varieties that are planted in Argentina are mainly descendants of the US Runner (Florunner). The reason for this being that during the early 1980's, certified seed of this variety was imported from the United States. The main export market for Argentine Runner type peanuts is Europe and America (North & South). This page is under construction. Would you like to know more about the Argentine groundnut peanut? Get in contact.